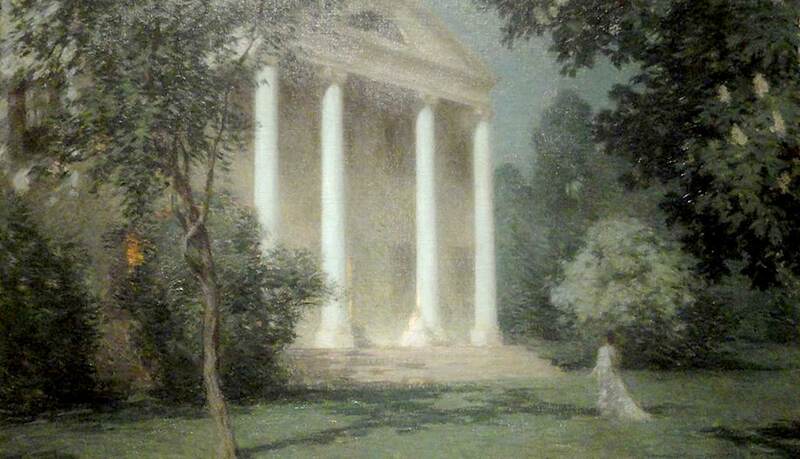 The stage was being set for the emergence of American Impressionism years before the artist Henry Ward Ranger came to visit the Griswold House in Old Lyme. As early as the 1830s, Hudson River School artists were glorifying the land and its spiritual link to humanity. In the 1850s, Ralph Waldo Emerson was writing of the sacred unity found in communion with nature. On Christmas Day, 1850, an event occurred that would be remembered for its influence on the course of American art history: In a wonderful house on the main street of Old Lyme, Connecticut, Florence Griswold was born. 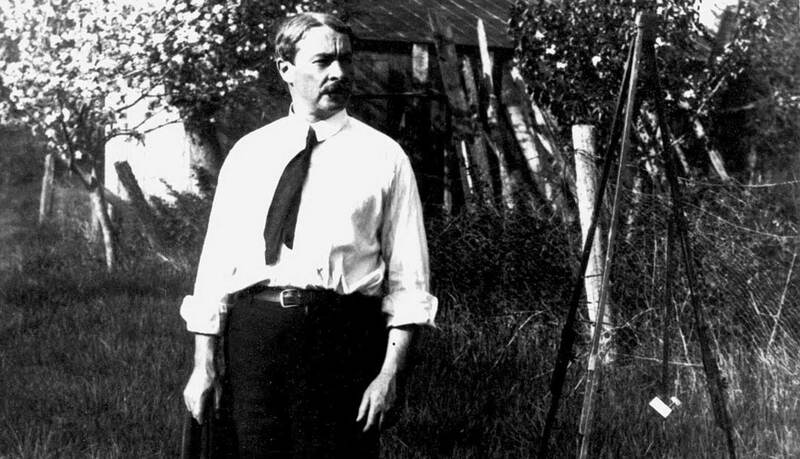 Henry Ward Ranger arrives at Florence Griswold’s home attracted by a landscape just waiting to be painted. Other prominent artists follow and, together, they found the Lyme Art Colony. Child Hassam arrives, heralding an identity of the Colony with American Impressionism. The Second Annual Colony Exhibition includes eight female artists, students of the Lyme Summer School of Art. The Congregational Church at Old Lyme, made famous by Lyme artists, burns to the ground. Three years later, with the help of artists and the community, the church is rebuilt. Members of the Colony form the Lyme Art Association. Four years later, Miss Florence sells a parcel of her land to the Association. The Lyme Art Association Gallery opens and Miss Florence becomes its first manager. Due to Miss Florences failing health and deteriorating finances the Florence Griswold Association is formed by townspeople, friends, and family. Its goals are to provide for Miss Florence by purchasing and maintaining her family home and eventually operate as an art museum. However, the FGA loses the bid to purchase the property to Judge Robert McCurdy Marsh. He allows Miss Florence to live in the house. On December 6, Florence Griswold dies at the age of 86, at home, in her own bed, with Dr. Griswold, artist Gregory Smith, and her favorite cats at her side—and in familiar and well loved surroundings. Within a year, her belongings are sold at auction. The Florence Griswold Association purchases the house and less that one acre of land from Judge Marsh for $5750. The Florence Griswold Museum opens to the public, at first for summers only. The Florence Griswold Association and the Lyme Historical Society merge on the 100th anniversary of the incorporation of Old Lyme. 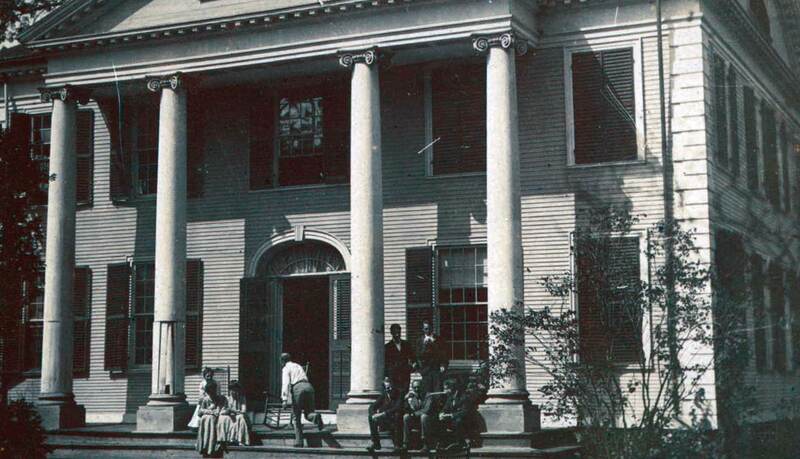 In 1973, the name of the Association will be changed to the Lyme Historical Society. The Museums first full-time professional director is hired. Seven years later, the Museum will hire its first full-time curator. The Marvin Huntley House and one acre of land are purchased for $75,500 and the house is renamed the Huntley-Brown House in honor of Mrs. John Crosby Brown. The Museum launches its first endowment fund. The landmark exhibition, Connecticut and American Impressionism, presents the first in-depth look at the Lyme Art Colony. In Open Air: A Portrait of the American Impressionists is filmed by the Smithsonian. Old Lyme: The American Barbizon exhibition is called by The New York Times: a considerable achivement, wide-ranging, scholarly and scrupulously fair…beautifully installed in the Florence Griswold Museum. The Museum launches The Campaign for the Florence Griswold Museum which exceeds its $1.1 million goal. Two major exhibitions, Edward F. Rook: American Impressionist and Childe Hassam in Connecticut, attract critical and public acclaim. The Museum purchases an extensive collection of Thomas Nason wood engravings. Two years later the Nason family donates other works on paper and the contents of his studio. The Museum holds the first annual celebration of holiday traditions. The Lieutenant River and Lymes Heritage Cookbook are published. The original Chadwick Studio acquired as part of the Historic Land Acquisition Campaign, is moved onto Museum property and restored for public viewing and use by contemporary artists. The Florence Griswold Museum is designated a National Historic Landmark. The Samuel Thorne Memorial Lecture Series is inaugurated. The Lieutenant River Society is launched to honor those who remember the Museum through a planned gift. The Museum acquires five key acres of the original Griswold estate. Trustees adopt a centennial master plan that extends the Museums capacity to serve growing audiences. The Museum announces The Centennial Campaign to raise $8.3 million. The Museum celebrates the centennial of the Lyme Art Colony with special exhibitions and programs, and heralds the arrival of the new century. The Hartman Education Center opens. The Hartford Steam Boiler and Inspection Company gives its entire holding of American art — 188 paintings and two sculptures— to the Museum. The collection showcases Connecticuts importance to American art history from the late 18th to the early 20th centuries. As a result, The Museum broadens the scope of its acquisitions and exhibitions to encompass Connecticuts role in the history of American art. The Museum opens the Robert and Nancy Krieble Gallery. Overlooking the Lieutenant River, the addition provides 10,000 square feet of space for exhibitions, visitor services, and art storage. The Griswold House closes for restoration. The project includes stabilization of the exterior features of the house and upgrades to its climate controls, electrical, lighting, and fire protection systems. The refurbished interiors will capture the timeworn charm of a staid family home turned into a boisterous communal living space. After 14 months of restoration, the Florence Griswold House reopens as a country retreat for artists. The $2.5 million project preserves the National Historic Landmark and allows visitors to fully immerse themselves in the culture and daily life of an American art colony unlike anywhere else in this country. The House is accurately furnished to its appearance circa 1910, when the colony was the center of Impressionism in America. The Museum is the first venue for Impressionist Giverny: Americans Painters in France, 1885–1915, an exhibition of over fifty works organized by the Musée d Art Américain, Giverny. The exhibition tells the story of the expatriate colony founded by American artists in the village of Impressionist master Claude Monet. The Dyanne and John Rafal Landscape Center opens. The Center features The Landscape of Lyme, an exhibition that highlights the history and significance of the regions landscape. In addition, the building includes program space for workshops and a work area for the Museums garden volunteers. Café Flo opens. A partnership between the Museum and River Tavern in Chester, Connecticut, Café Flo is located in the Rafal Landscape Center with seating available in and around the building. It is open seasonally, June through September. The Museum celebrates the 75th Anniversary of its founding in 1936.